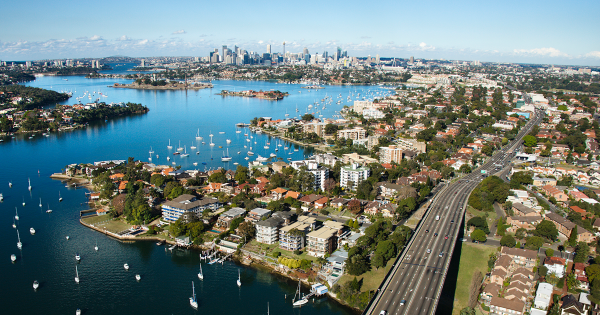 Finding a place to call home in Sydney’s competitive realestate market can be a challenge—even when it comes to shared places. But, there is still hope according to data from Flatmates.com.au, which has revealed the least competitive suburbs to find a room within 10km of Sydney’s CBD. North Willoughby on Sydney’s lower north shore ranked first with approximately one person listed per room in the past three months. Dawes Point—the closest suburb to the city centre on the list—ranked second with a ratio of approximately 1.5:1. Chiswick, Lane Cove North and Russell Lea rounded out the top five least competitive with ratios of two people per room each. Demand ratios for suburbs on the list were a far cry from the most in demand suburb, Tamarama, where as many as 65 people were listed per room on the site during the same period. Chief executive officer of Flatmates.com.au, Thomas Clement, said the list highlighted that those seeking places should keep their options open and look away from popular share suburbs. “The data shows that while there are suburbs with extreme competition, there are those that are largely overlooked by sharers,” said Clement.